Depicts Truth, Religion (personified by Purity, Faith, Hope, Reverence and Inspiration in harmony, presided over by the central personification of "Light•Love•Life". Intuition is the ability to acquire knowledge without inference or the use of reason. In philosophy it is a priori knowledge or experiential belief characterized by its immediacy. Beyond this, the nature of intuition is debated. Intuition is the wisdom formed by feeling and instinct - a gift of knowing without reasoning... Belief is ignited by hope and supported by facts and evidence - it builds alignment and creates confidence. Belief is what sets energy in motion and creates the success that breeds more success. Angela Ahrendts in:Angela Ahrendts Reveals The Secret To Burberry’s Success, Vogue, 5 August 2013. Edgar Cayce, John Van Auken in:The Psychic Sense: How to Awaken Your Sixth Sense to Solve Life's Problems and Seize Opportunities, ARE Press, 2006, p. 76. Joyce Brothers, As quoted in Words of Wisdom : More Good Advice (1990) edited by William Safire and Leonard Safir, p. 199. Deepak Chopra in:Deepak Chopra On Enlightened Leadership, Forbes,12 January 2011. Deepak Chopra in Exclusive: Deepak Chopra Explores the Evolution of God, Forbes, 25 September 2012. Richard Courant in: Richard Courant, Herbert Robbins What is Mathematics? : An Elementary Approach to Ideas and Methods, Oxford University Press, 1996, p. 23. Rene Descartes in: Key Philosophical Writings, Wordsworth Editions, 1997, p. 31. 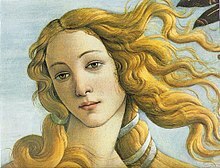 God gave women intuition and femininity. Used properly, the combination easily jumbles the brain of any man I've ever met. - Farrah Fawcett. Farrah Fawcett in Norman M. Brown, Ellen S. Amatea Love and Intimate Relationships: Journeys of the Heart, Psychology Press, 2000, p. 297. Intuition Peak is the sharp peak of elevation 780 m in Levski Ridge, Tangra Mountains, Livingston Island, situated 1.4 km NNW of Helmet Peak and 5.4 km SE of Atanasoff Nunatak. According to the Bulgarian topographic survey Tangra 2004/05. It is named in appreciation of the role of scientific intuition for the advancement of human knowledge. SCAR Gazetteer in: Intuition Peak, Composite Gazetteer Of Antarctica. Carlos Ghosn in: Richard M. Smith Carlos Ghosn: In the Driver’s Seat, Newsweek, 20 June 2008. Steve Jobs in: Commencement address delivered by Steve Jobs, on June 12, 2005. Text of Steve Jobs' Commencement address (2005), Stanford News, June 14, 2005. Immanuel Kant in: Wayne P. Pomerleau Twelve Great Philosophers: A Historical Introduction to Human Nature, Rowman & Littlefield, 1 January 1997, p. 243. D. H. Lawrence in Leslie Paul Thiele The Heart of Judgment: Practical Wisdom, Neuroscience, and Narrative, Cambridge University Press, 04-Sep-2006, p. 195. Intuition is the key to everything, in painting, filmmaking, business - everything. I think you could have an intellectual ability, but if you can sharpen your intuition, which they say is emotion and intellect joining together, then a knowingness occurs. David Lynch in: Andy Battaglia David Lynch, A.V. Club, 23 January 2007. John Naisbitt in: Larry Chang Wisdom for the Soul: Five Millennia of Prescriptions for Spiritual Healing, Gnosophia Publishers, 2006, p. 419. Henri Poincare in: Shelley Sacks, Wolfgang Zumdick Atlas of the Poetic Continent: Pathways in Ecological Citizenship, Temple Lodge Publishing, 2013, p. 60. Alles Anschauen gehet aus von einem Einfluß des Angeschaueten auf den Anschauenden, von einem ursprünglichen und unabhängigen Handeln des ersteren, welches dann von dem letzteren seiner Natur gemäß aufgenommen, zusammengefaßt und begriffen wird. All intuition proceeds from an influence of the intuited on the one who intuits, from an original and independent action of the former, which is then grasped, apprehended, and conceived by the latter. Friedrich Schleiermacher, On Religion (1799), as translated by Richard Crouter (Cambridge: 1988), pp. 24-25. Florence Scovel Shinn (1989), Wisdom of Florence Scovel Shinn, p. 65. Benjamin Spock, Baby and Child Care, 1977. Dan Stevens in: Dan Stevens: my week on the porch, The Telegraph, 6 January 2013. William Wordsworth in: Trust on Trial: Who Do You Trust and Why?, iUniverse, 2010, p. 33. I asked, "If God reveals himself in nature, why not in man?" "Have you never been awed by the power of man's rational mind?" Einstein quizzed. "And man's intuition, man's inspiration? - William Hermanns, . I have faith in my intuition, the language of my conscience, but I have no faith in speculation about Heaven and Hell. I'm concerned with this time — here and now. - Albert Einstein. My intuition made me work. Many people think that the progress of the human race is based on experiences of an empirical, critical nature, but I say that true knowledge is to be had only through a philosophy of deduction. For it is intuition that improves the world, not just following the trodden path of thought. Intuition makes us look at unrelated facts and then think about them until they can all be brought under one law. To look for related facts means holding onto what one has instead of searching for new facts. Intuition is the father of new knowledge, while empiricism is nothing but an accumulation of old knowledge. Intuition, not intellect, is the open “sesame” of yourself. I asked, "If God reveals himself in nature, why not in man?" "Have you never been awed by the power of man's rational mind?" Einstein quizzed. "And man's intuition, man's inspiration>? William Hermanns, , p. 26. Prophet or not, what I say is more often felt through intuition than thought-through-intellect.I hope the nations will learn their lesson, that there is no security in national armies. After the war we must renounce all military defense and create an atmposphere of international trust. Albert Einstein in: p. 56. The truly religious man has no fear of life and no fear of death; his faith must be in his conscience. Then he will have the intuition to observe and judge what happens around him. Then, he can acknowledge that everything unfolds true to strict natural law, sometimes with tremendous speed. I am therefore against all organized religion, too often in history, men have followed the cry of battle rather than the cry of truth. Albert Einstein in: p. 65. I'm a mystic, and you, too, because you love intuition. And I believe that the soul is eternal, or, if you wish, the mind is eternal and carries experiences from one plane of existence to another or from one time period to another- since we have bodies to fulfill a purpose, and they are involved with space and time. William Hermanns, in: p. 71. Intuition and the opportunity to be at the right place at the right time. I couldn't have come to my conclusions without the discoveries before me of great scientists. I have faith in my intuition, the language of my conscience, but I have no faith in speculation about Heaven and Hell. I'm concerned with this time — here and now. Albert Einstein in: p. 94. There are only two limiting factors: first, that what seems impenetrable to us is as important as what is cut and dried, and, second that our faculties are dull and can only comprehend wisdom and serene beauty in crude forms, but the heart of man through intuition leads us to greater understanding of ourselves and the universe. Albert Einstein in: p. 109.
to set my neighbor free. William Hermanns in: p. 136. Knowledge is necessary, too. An intuitive child couldn't accomplish anything without some knowledge. There will come a point in everyone's life, however, where only intuition can make the leap ahead, without ever knowing precisely how. One can never know why, but one must accept intuition as fact. Albert Einstein in: p. 137. 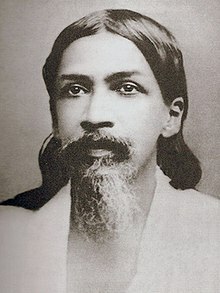 Sri Aurobindo -The conscious existence involved in the form comes, as it evolves, to know itself by intuition, by self-vision, by self-experience. It becomes itself in the world by knowing itself; it knows itself by becoming itself. ..spaceless Being who alone renders time and space and cosmos possible, and in all these the higher truth realisable by the lower term, justify themselves to the deliberate reason as well as to the persistent instinct or intuition of mankind. The conscious existence involved in the form comes, as it evolves, to know itself by intuition, by self-vision, by self-experience. It becomes itself in the world by knowing itself; it knows itself by becoming itself. Man, because he has acquired reason and still more because he has indulged his power of imagination and intuition, is able to conceive an existence higher than his own and even to envisage his personal elevation beyond his present state into that existence. We have seen what pure Reason, intuition and experience have to say about pure Existence, about Sat; what have they to say about Force, about Movement, about Shakti? Intuition is the supra-logic that cuts out all routine processes of thought and leaps straight from the problem to the answer. Robert Graves, quoted in: Harvey A. Dorfman, ‎Carlos Tosca (2003), Coaching the mental game, p. 146. Still beyond can be met a yet greater power of the Truth-Force, an intimate and exact Truth-vision, Truth-thought, Truth-sense, Truth-feeling, Truth- action, to which we can give in a special sense the name of Intuition; for though we have applied that word for want of a better to any supra-intellectual direct of knowing, yet what we actually know as intuition is only one special moment of self-existent knowledge. Each by itself is not really known; we only begin to know it in its deeper truth when we can read into it the suggestions of its apparent opposite. It is through such a profounder catholic intuition and not by exclusive logical oppositions that our intelligence ought to approach the Absolute. But although our primary evidence of the objects of the universe consists of a structure of sense-images, these are completed, validated, set in order by an automatic intuition in the consciousness which immediately relates the image with the thing imaged and gets the tangible experience of the object, so that we are not merely regarding or reading a translation or sense-transcript of the reality but looking through the sense image to the reality. All finites are in their spiritual essence the Infinite and, if we look deep enough into them, manifest to intuition the Identical and Infinite. ... the secret of its operations [subliminal sense] is unknown and its principles of sign- construction and symbolic figure-languages foreign; a greater inner power of intuition, tact, discrimination is needed to judge and interpret rightly its images and experiences. To these means is added a reason, intelligence and intuition which seize on the communications thus indirectly brought to them, put all in order and utilise their data to get as much knowledge and mastery and possession of the not-self or as much partial unity with it as the original division allows to the separated being. ... spiritual and psychic. The traditional account of this inner witness is conscience, a power of perception in us half mental, half intuitive; but this is something superficial, constructed, unreliable: there is certainly within us, though less easily. The mind in seeking for such a Reality and testing each thing from Matter upwards to see if that might not be It, has not proceeded on a wrong intuition. All that is necessary is to carry the inquiry to its end and test the highest and ultimate levels experience. 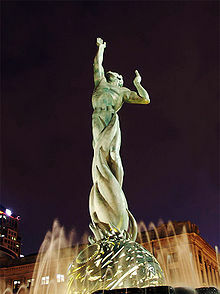 Fountain of Eternal Life. - May the invincible rays of his intuition be there seeking immortality, pervading both the births; for by them he sets flowing in one movement human strengths and things divine.Rig Veda. In India, we have seen a persistence of the original intuition and total movement of evolutionary nature. In Rig Veda, p. 924. May the invincible rays of his intuition be there seeking immortality, pervading both the births; for by them he sets flowing in one movement human strengths and things divine. In Rig Veda, p. 1053. Jung (1977), legitimised intuition to some extent through defining the four basic psychological functions as intuition, thinking, feeling and sensation, and these concepts have been incorporated into standardised personality evaluation tests used daily all over the world. Intuition is defined as a non-rational, holistic, cognitive process that is enhanced by experience and associated with affect. Interest in the use of intuition as a viable approach to decision-making and judgements in environments of rapid change and complexity has increased in recent years. Intuition as a judgement/decision-making skill is important for contemporary leaders because it is more able to cognitively process complex systems than our rational minds. V. Denes-Raj and S. Epstein (1994). Much of the confusion surrounding intuition, adding to the complexity of conducting research on intuition, is due to the use of this term in so many ways. O. Behling and N. Eckel (1991). Intuition has long been associated with the mystic, irrational and paranormal. In the Rules Descartes ties abstraction to intuition. The two main characteristics of intellectual intuition are first, the purely intellectual nature of the operation itself and, second, the absolute certainty and assurance that accompanies it. Thus, an intuition is an insight into necessary connections between the two simple ideas or two elements of an idea. - Descartes. Concomitantly, the shift away from intuitions of simple natures is accompanied by a shift away from abstraction, as the epistemic model for gaining knowledge, to a model that requires many of our core ideas to be innate in the mind. Thus, in place of the earlier methods of abstracting by direct intuition and compunding from sensuous and non-sensuous experience, increasingly Descartes brings to the fore the view that knowledge always involves innate ideas. In the Rules Descartes ties abstraction to intuition. The two main characteristics of intellectual intuition are first, the purely intellectual nature of the operation itself and, second, the absolute certainty and assurance that accompanies it. Thus, an intuition is an insight into necessary connections between the two simple ideas or two elements of an idea. By “intuition,” I do not mean the fluctuating testimony of the senses or the deceptive judgment of imagination as it botches things together, but the conception of a clear and attentive mind, which is so easy and distinct that there can be no doubt about what we are understanding. Alternatively, it comes to the same thing intuition is the indubitable conception of a clear and attentive mind which proceeds solely from the light of reason. Our analysis of the performative nature of the cogito should make clear that for Descartes its validity is an immediate intuition of a truth contained in an idea grasped in an instant, an intuition that contains no temporal successiveness. But he [Descartes] also makes clear that he is appealing to a mental intuition with roots in the Rules. This is the notion that we possess mental acts whose content is such that we are not “aware of a movement or a sort of sequence,” as is the case in deductive chains of reasoning. 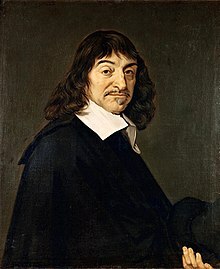 Thus, Descartes makes a clear distinction, in the Second Reply, between the truth of a mental content to which we immediately attend and that truth recalled by memory when the initial intuition is no longer attended to. He illustrates his point in reference to the cognito: When someone says “I am thinking, therefore I am , or exist,” he does not deduce existence from thought by means of syllogism, but recognizes it as something self-evident by a simple intuition of the mind. Descartes defines intuition as the conceptual act of the pure and attentive mind.that springs from the light of reason alone. Descartes, by means of intuition and abstraction, seeks to establish the ultimate features of things as they are in themselves; that is, he seeks to establish an objective ontology of natures that compose material bodies. This page was last edited on 14 August 2017, at 22:16.